When I broke my wrist in August 2012 had every intention to start blogging again once my wrist was healed. So when the cast was finally off and I could start to move again I began to take some photos, including a couple of tutorials. The first photo session I took back in October 2012 included this yoga top that I designed and made the pattern for. It also has a built-in bra, which I even made an illustrated tutorial for, that I would be happy to share if you want. I do yoga (or more often Bodybalance these days) about twice a week. My favorite time to do it is Saturday morning – I really can’t think of any better way to start the weekend. It just melts away stress and gives me new energy. And I still wear this yoga top almost every week, the rayon/lycra jersey has held up really well. 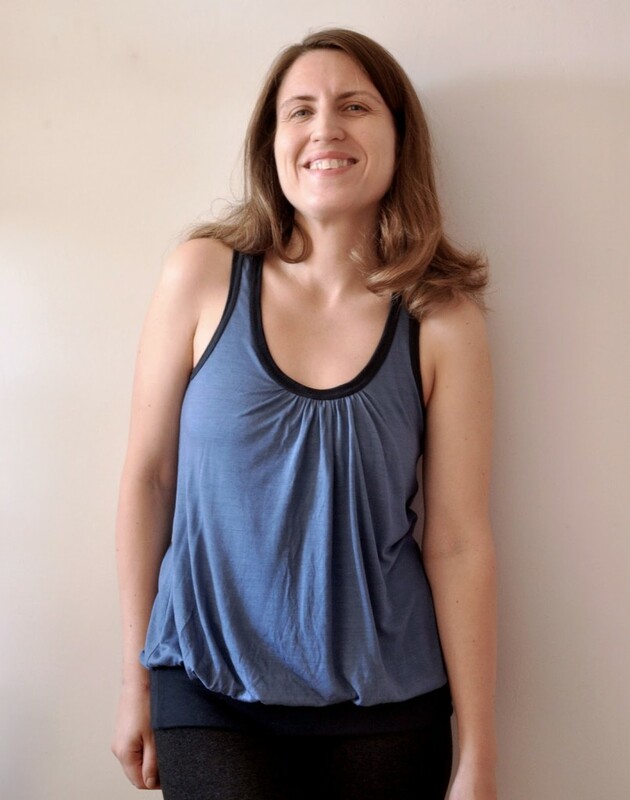 Plus the comfortable shape makes it so easy to wear, no constrictions and the ribbed waist band keeps it in place even while doing downward facing dog and stuff. this is a really good top! 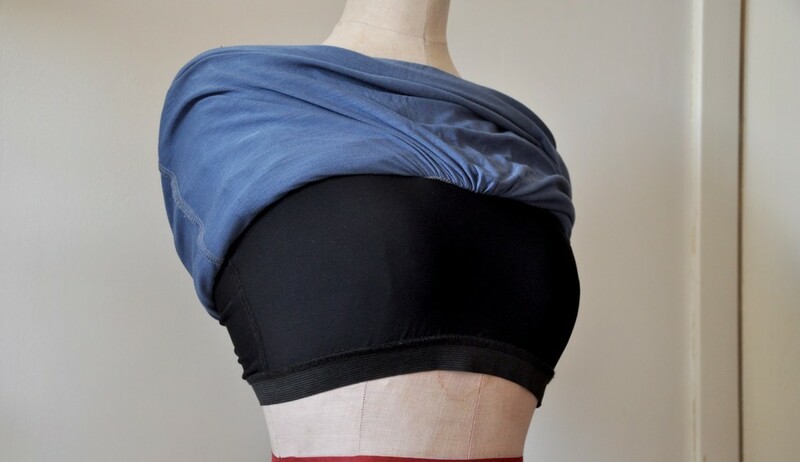 I've gotten interested in sewing activewear lately, and a good yoga bra/top is on my list, I'd love to see the tutorial! I love your top and agree it would be fantastic to see a tutorial, thank you! I do yoga daily at home and I find it so annoying when my top flops around doing downward dog so I'd love a tutorial. 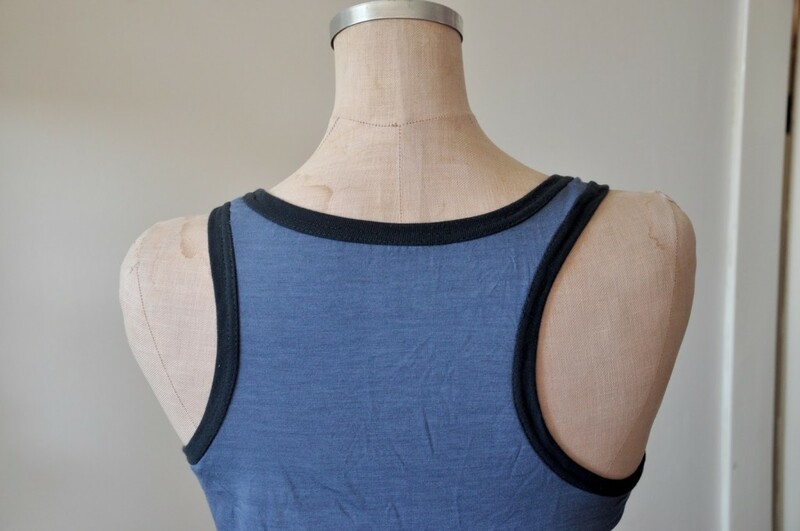 Your top with the bra insert also interests me as I've got some swimmers (togs here for us) in the pipeline and also want to make a bra for them. That's kindof genius to have a band at the bottom holding the shirt down when you bend over!